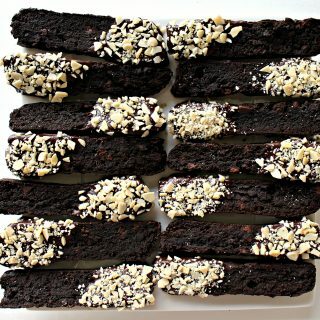 Every rich, velvety bite of Espresso Chocolate Shortbread Cookies will delight mocha lovers. 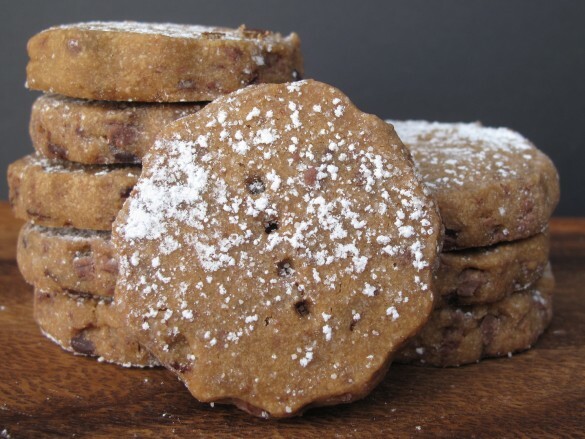 These melt-in-your-mouth espresso cookies are studded with chocolate toffee bits, for a wondrous flavor treat. 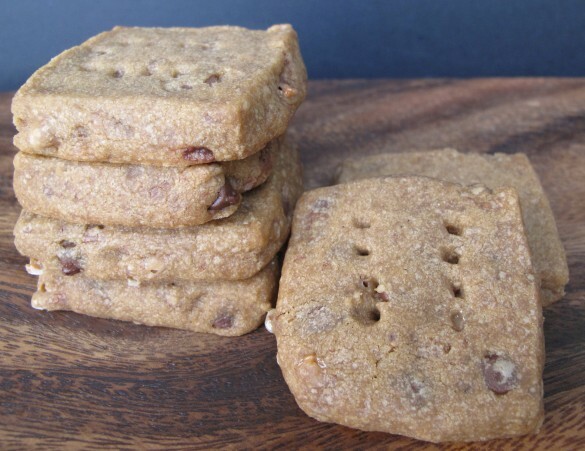 Even better, this shortbread travels well in care packages and the flavor improves over time! 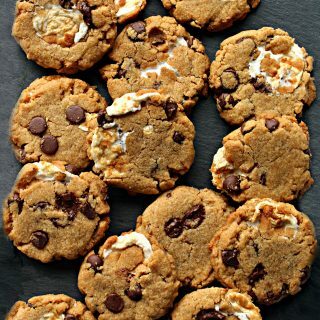 You are sure to find many snacking and gifting possibilities for these scrumptious cookies.Updated from the original April 2013 version. Last updated November 2018. For my 40th birthday (a long time ago), I decided to celebrate by taking my husband and two children on their first trip to Europe. Inspired by Diana Gabaldon’s Outlander series (an historic fiction/romance which begins in the United Kingdom), I chose Scotland as our destination. It is a beautiful, magical country. 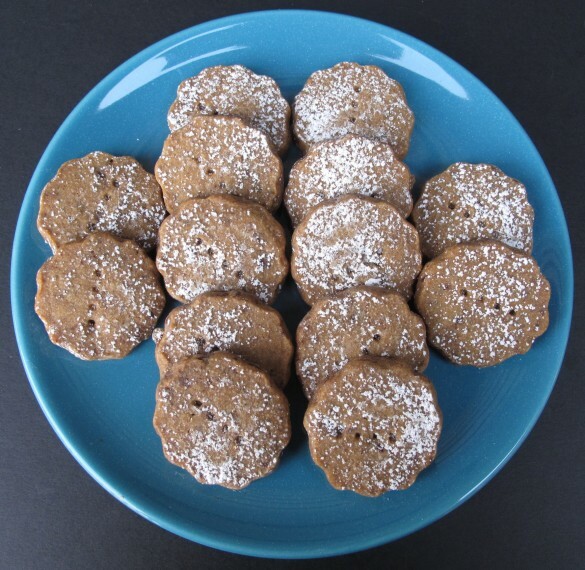 Dress up these espresso cookies with a sprinkle of powdered sugar! As my children learned how to be travelers, I learned about prepping for and planning family focused trips. It is truly amazing to me what kinds of interests can be sparked in children with just a little preparation. Before our trip, we read fairy tales of the Highlands, discussed Nessie at length, and even read a children’s version of Macbeth. With a ten year old and five year old in tow, our itinerary spent less time in museums and more time enjoying trains and boats, exploring castles and gardens, and searching for prehistoric beasties. I had some unrealistic expectations on that trip. My children did not mysteriously turn into little adults. They continued to act like the children they were and had the same number of melt downs and grumpy moments as they would have had at home. On a longer travel day, when they had been cooped up too long together in the back seat of the rental car, they squabbled just like they would have at home. I am not sure why I was surprised. However, what I also didn’t expect was the long lasting, positive impact those 3 short weeks in Scotland would have on our family, my daughter in particular. You will love the combination of flavors in these melt-in-your-mouth espresso chocolate cookies! It was on this trip, at the Oban Highland Games, that my daughter first saw and fell in love with competitive Highland dance. She watched the groups of girls (and a few boys) dance the same three dances over and over as they competed for the highest individual performance score. The music of the pipers flowed into her soul and she desperately wanted to know how to dance to its beat. 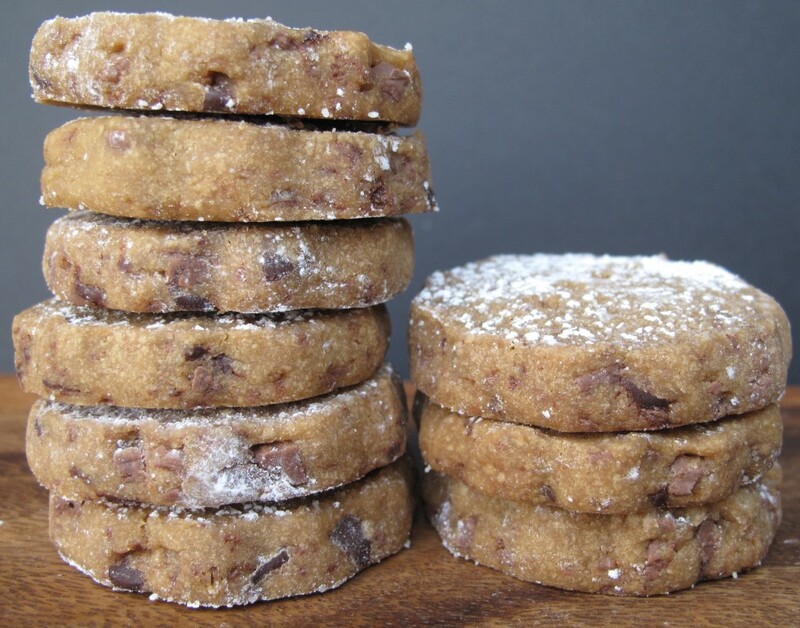 Espresso cookies make a great gift or care package cookie for any coffee lover! When we got back to St. Louis, a series of amazing coincidences led us to Sandra Brown, a woman who we believe (with a certain amount of bias) is the world’s best Scottish dance teacher. My daughter has now been involved in Scottish Highland dance and a part of Sandra’s Dance Caledonia for 19 years! Though we have no Scots in our background, from time to time we consider ourselves to be honorary Scots. As honorary Scots, my daughter performs in Pride of Scotland tartan. As honorary Scots, we are aware that Robert Burns is the national poet of Scotland and we attend the annual Burns Dinner held in his honor here in St. Louis (and all over the world). As honorary Scots, we are supposed to savor haggis, but don’t. 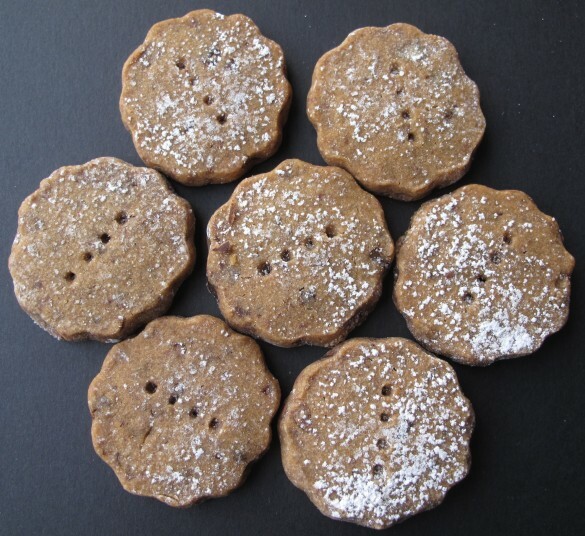 We do, however, savor shortbread, Scotland’s gift to the world of cookies. I wish that I had thought of posting an espresso shortbread recipe this winter. 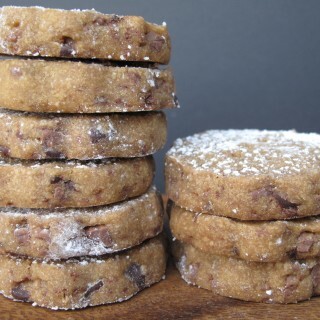 Espresso Chocolate Shortbread Cookies are wonderful care package cookies. Kept in an airtight container at room temperature, shortbread will stay fresh for 3-6 weeks. The flavor improves over time. However, the key here is room temperature. This is NOT a hot weather cookie. These are butter cookies and can go rancid if you ship them during the summer. If the weather is already too hot at your care package destination, enjoy espresso shortbread at home now and bake them for mailing when it’s cool again. 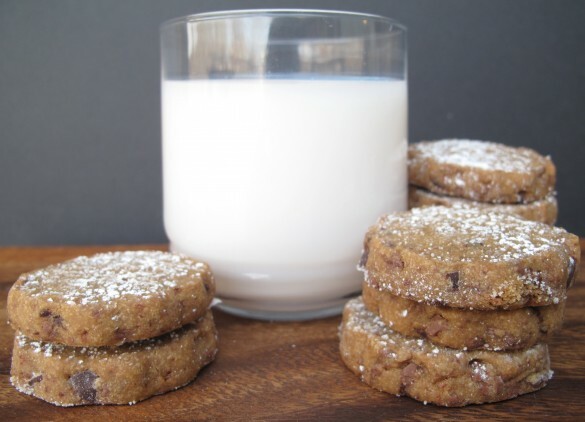 The recipe for these espresso chocolate chip cookies is originally from Dorie Greenspan’s Baking: From My Home to Yours. It is not a traditional shortbread because of the added chocolate and espresso, but it is delicious. This recipe calls for rolling out the dough inside a gallon size ziplock bag. This prevents the unchilled dough from sticking to the rolling pin or counter. The bag is also the perfect size for a ¼” thick rectangle of dough. The rolled out dough should be chilled for 2 hours to 2 days or can be frozen in the bag to be defrosted and used later. Once chilled the dough can be cut with a knife into rectangle fingers or into squares. Cookie cutters can also be used (I used a 1 ½” scalloped edge round cutter). The dough scraps can be rolled out again. Be sure to prick the cookies with a fork before baking. The small holes release air so the cookies will bake flat. 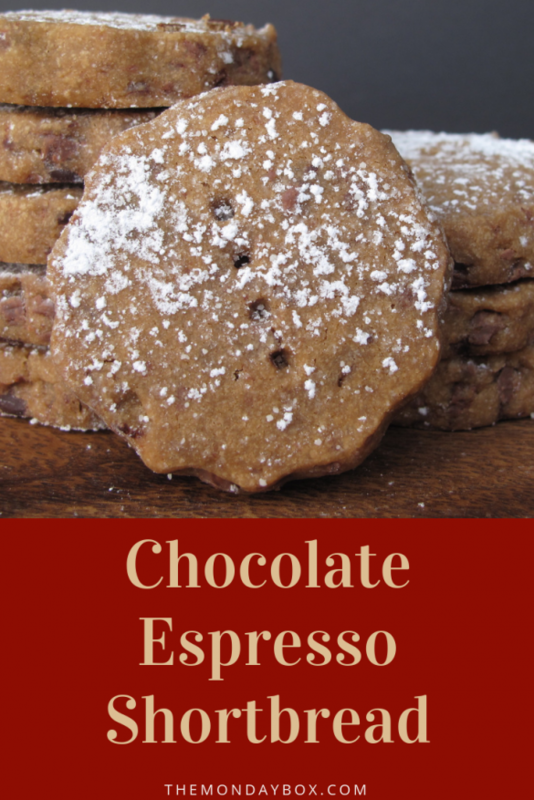 Espresso Chocolate Shortbread Cookies are so delicious, you will definitely want to share some. The coffee lovers in your life will thank you! In a very small bowl, dissolve the espresso powder in the boiling water. In the bowl of an electric mixer, combine the confectioner’s sugar and butter for 3 minutes at medium speed. Add the vanilla and espresso, beating until incorporated. Add the flour and mix at low speed until just combined. Transfer the dough into a gallon sized zip lock bag but do not close the bag. Roll the dough into rectangle the width of the bag and ¼” thick (approximately 9”x 11”x ¼”). While rolling, make sure no creases are formed in the dough from wrinkles in the plastic. Zip the bag closed removing as much air as possible. Refrigerate for 2 hours- 2 days. When ready to bake: Preheat oven to 325 degrees F. Line a baking sheet with parchment paper. Cut open the zip lock bag and place the dough rectangle on a cutting board. Using a sharp knife or cookie cutter, cut the dough into desired shapes and transfer to the baking sheet. Use a fork to poke holes in each cookie. Dust with confectioner’s sugar while the cookies are still hot. Wrap small piles of cookies in plastic wrap then place in an air tight container or zip lock bag for mailing. Thanks, Shannon! Travel with little ones is a lot of work but seeing the world through their eyes is an amazing experience. I am completly in love with those shortbead cookies !! I don’t really like the espresso flavour generally and I am always wondering what can I add instead of it ! Your little story really touched me and I loved to read about you and your little family ! I hope you spent good Passover holidays ! Sarah, I know that these shortbread cookies would also be good without the espresso. You would taste the traditional butter flavor. One teaspoon of vanilla extract or scrape the seeds from half of a vanilla bean plus some delicious French butter then enjoy! I also hope you had a joyous Passover! I am a big fan of shortbread. Thank you Scotland! 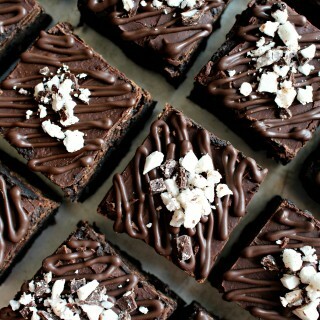 These look delicious and I will most definitely give them a try! Me too, Cheryl. Thank you, Scotland. 🙂 If you try these cookies, please let me know what you think! I think, Monica, that what kids retain from trips abroad, isn’t necessarily images and facts. What they do learn and retain is that the world is a big place with many cultures, languages, religions, foods, histories. They learn that there are many ways to live and view the rest of the world. I believe there is the potential for children to begin becoming world citizens. 🙂 How exciting to share Paris as a family! What an amazing adventure and trip! These shortbread cookies have all the flavors that I love! They sound delicious! 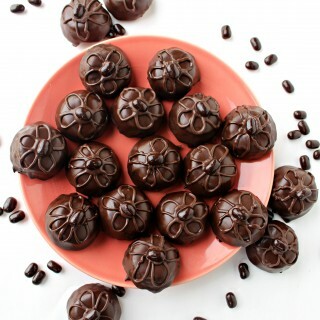 I love espresso flavor and these look perfect! I can almost smell them 🙂 Now, if I could just taste them! Love your stories! I have a lot of Scottish in my background but have not been. We’ve made it to Ireland (for my other half) but can’t wait to do that trip some day. Shortbread is a beautiful treat. Love recipe and wonderful post. Thank you, Tricia! I really do appreciate your kind words. The recipe is the main point of my posts and I don’t want to bore anyone with the back story. 🙂 Some times though, the back story is the reason for the recipe. A trip to Scotland is well worth dreaming about and planning for! Ah, traveling with kid. Same as being at home…only harder. 😉 These cookies are fabulous! 🙂 So very true, Dorothy! I don’t know why it took a 3 week trip to Europe for that simple truth to register. It didn’t keep me from planning further trips, I was just more prepared. This shortbread has a wonderful flavor. I hope you’ll try and let me know what you think. Awesome trip! And these cookies. Oh my word they look delicious! Thanks, Aimee! They really are the perfect little something to have with a cup of coffee. Traveling with kids can definitely be tough but it sounds like you guys had a great trip! 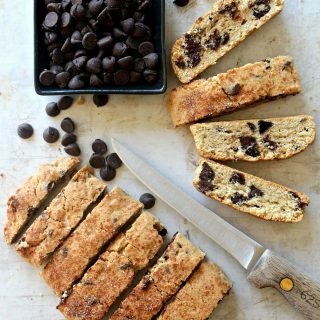 I love shortbread and the espresso chocolate flavor sounds super tasty! Thanks, Joanne! I learned that travel with kids is like life with kids; a ton of work but ultimately you can’t imagine it any other way. 🙂 I hope you’ll try the cookies. The espresso flavor is delicious! I am completely jealous of your trip! Such lasting memories you must of created! It’s been too long since I’ve made or even eaten shortbread. 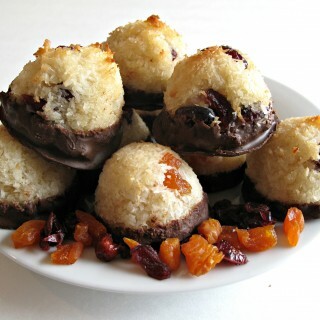 These look melt-in-your-mouth irresistibly delicious! Thanks, Reeni! I only recently developed a love of shortbread. Luckily, its a great care package cookie so I have an excuse to bake a variety. 🙂 Research, research, research! 🙂 Travel does create lasting memories. That is why I try to celebrate “big” birthdays in my family with a trip present rather than an object. Would love to snack on these cookies with some milk! Love that it has expresson in it. And your coffee cup is so cute! Love your mention of Dianna Gabeldon. 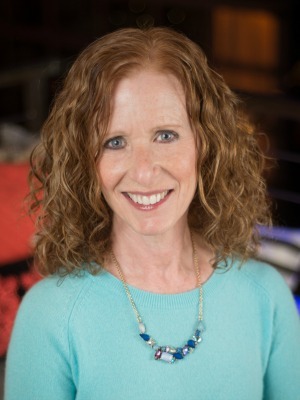 She is one of my favorite authors…I have read all of the Outlander series as well as her Lord John books. My love of shortbread stems from the books as well as my Scottish ancestry, and I look forward to making these for my husband, the coffee and espresso friend. I am more of a purist. Although I do love Rosemary Shortbread too. Haggis, not at all!! Thank you for your story and for sharing this recipe. Can this dough be made ahead of time & frozen to bake in small batches when you need to satisfy a craving?? 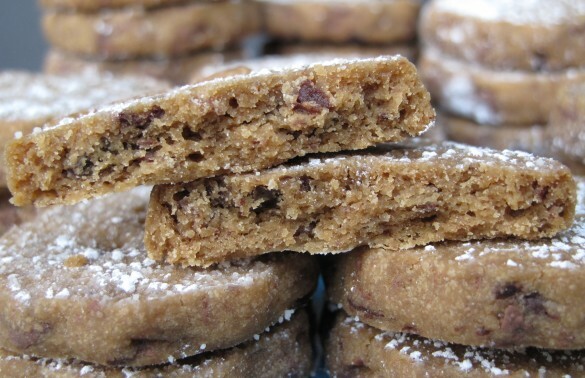 Wow…these espresso chocolate shortbread cookies are incredible and yummy! Are they gluten-free? Thanks for sharing! Hi, Jill. No, these cookies are not gluten-free. You can try using a gluten-free flour substitute, but I don’t have experience with how that would turn out. I am sure that the flavors could be added to a gluten-free shortbread recipe though. Good luck!